Again Apple wanted to streamline the Airdrop, which allows exchanging files with Mac nearby, without configuration and without any Wi-Fi network; however, this method gives a semblance of consistency to the file, so that everything in Lion pushes the use of IOS as: applications become points of access to their own files, for a presentation as a library. This mode of use has had some detractors, not unreasonably given the way so far, management of files for each application was made in iOS iTunes. Again icloud addresses this problem and provides a consistent solution: the file no longer exists. Those who demanded a Finder IOS will be for free: the concept itself has become simply obsolete. It remains to propose a way to exchange files with other users on how to easily Airdrop of IOS. And it took many steps to arrive at the disappearance of the file as we have always known. These functions are direct descendants of Time Machine, but also Spotlight: it is the search for metadata that is likely to make navigation file obsolete term. Integrated with facial recognition photos can do research on the content of images them, without having to remember the name and location of the jpeg. Various teams are currently working on generic object recognition in images. But Apple is not his first attempt. In 1995, she tried to redefine the boundaries between applications and files with OpenDoc, which allowed the use of application functionality scattered within a single document. Certainly, there was no question at that time to end the file, Apple still had tried a different approach, which proved unsuccessful, and to which he was terminated shortly after the return of Steve Jobs at Apple, then as special adviser Gil Amelio. Still, for users of Mac OS X, there will be definitely a before and after Leo. In the future, you may rethink the way you currently manage your files with some amusement. In common use, you can switch operation between various parameters Version: block the file status (not to automatically save the changes you might add), clone the file (to create a working copy, thus incidentally create template files), and return to the status of the document as it was when you opened it. Let us make no mistake: with this feature, Apple editing for the first time since the first Macintosh in 1984 not backing up files. In other words, these functions would have greatly benefited from the support of ZFS, which incorporates features specifically iterative and incremental backups, among others. Unfortunately Apple has had to abandon plans to support ZFS in Mac OS X as a matter of license. Apple will have no rest, probably at the cost of a little more space on the disk and less flexibility, HFS + cannot bear comparison with ZFS. The Finder itself reflects these “flattening” files: the default view window now displays all the files on the disk equally, with no indication or hierarchical file. Ultimately, it is conceivable that Launchpad takes precedence over the Finder to become the default access mode, although direct access to the files will remain indispensable for some time. Apple has also brought another part of the answer to this question with icloud, which synchronizes your devices seamlessly. A user will no longer have to use USB or send each its own files by email to make them move from one machine to another, which a little disembodied file. There remains the problem of communication of a file to another person. Apple had already obliterated the notion of IOS file; it will push the logic even further with Leo. Who among us has never found a raging against fatal crash, which occurred "unexpectedly" before any backup job in progress? And conversely, never regretted a backup unfortunate, disfiguring involuntarily working hours following a false manipulation '? So far, it was the user that he belonged to "make clean" to manage their files, save, classify, list them, in short, time well productivity unnecessarily flown by itself, and worries that everyone without. In the absence of any alternative, we had to do against bad luck, good heart. Mac OS X 10.7, two technologies relegate such practices to the level of inconsistencies of the past as automatic backup of IOS, and versions, a system that allows to go back on the various stages of changes in your. With the automatic backup, you will not have to worry about any crashes, power failures and other accidents: the application opens in the state where you left off, reopening the file on which you were to work. Better yet, the windows are repositioned such that you had placed before leaving the application, and even the current selection is returned in the same condition. Nothing distinguishes the application state between the two moments. Versions promises to further ease the use of software: with a format similar to Time Machine, you can navigate in time to return to previous versions of your document. If you want a version you can scroll the document window to inspect it, and even make a copy and paste from an old to a new version. This feature alone promises new ways of working and use your Mac. The work is temporal and it will be possible to annotate a document as and when its edition to appear with nothing in the end and a simple return on the file's history will reveal these notes. To install Mac OS X Lion, it is imperative to be connected to the Internet. It was unclear why Apple was keen to see that the Mac is online. With DP4, Apple is no longer hidden. If you need to reinstall for one reason or another the system and you are offline, the following message appears. For some reason, Apple apparently wants to get the serial number of your computer so you can restore it. This behavior if it were to be confirmed in the final version of Leo is relatively new, at least for the client version. Apple has long used a system of serial numbers for Mac OS X Server. Finally, as one can understand the discipline need to be connected to install Leo, as it can be difficult in the case of a restore. You do not always choose when your Mac crashes. And this can occur miles away from a connection to the net. On reflection, it is not impossible that such verification takes place through Find my Mac to ensure that the computer in question has not been stolen. Some discrete improvements in Spotlight, the search built into Leo. First, you can search the Internet and Wikipedia directly from Spotlight. Then two changes on the hit list: you can drag and drop from the menu and you can get a preview with Quick Look all elements with a simple mouseover. Among the new more anecdotal note still a full-screen mode for the game of chess that always accompanies the system. More interestingly, we have already mentioned the Mac App Store, instant notifications of IOS are introduced in Mac OS X. The general interface is evolving with the ability to resize a window from any side, or scroll bars disappear when the default does not scroll the content. Some news too, with a more modern terminal (full screen and more options for appearance), but also more sophisticated controls on the statutes and improved support for drag and drop. Several additions to Mac OS X Lion on the text, often additions from IOS. Taking a letter supported, we obtain immediately the corresponding accented characters. 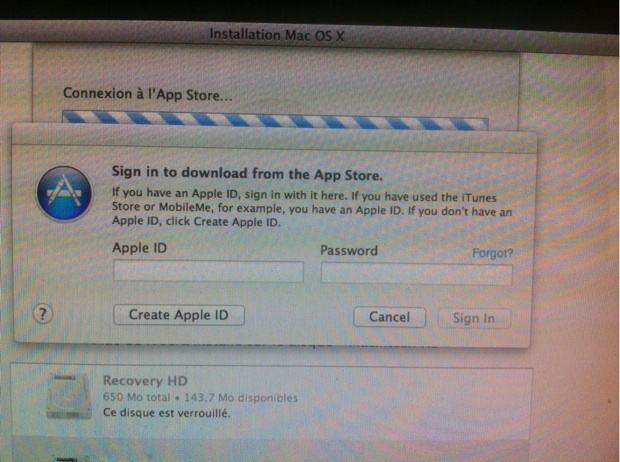 Mac OS X also adds Lion iOS corrections, but the system automatically changes the language according to context. More anecdotally, Emoji IOS are emerging, the default font collection grows and new languages are supported. The application of text default Mac OS X starts to taste the Lion with the support of full screen, automatic backups and versions. TextEdit also contains a new formatting toolbar, a search and support of Eye for attachments. In Leo, Time Machine can backup to local hard disk when the external drive dedicated to the backup is not. It can also encrypt backups. Mac OS X Leo is hosting a new preferences panel dedicated to privacy, including management of geolocation in applications, or even sending a crash report. An icon also appears in the menu bar when an application locates the Mac. This new feature is Time Machine a finer scale of a document. The application automatically saves each version and then presents the previous versions in an interface simple to use. We can then recover deleted items using copy / paste and constantly compare the current version and previous versions. In the event of the document, only the final version will be shared (read: Mac OS X Leo: Time Machine and insight into local versions). 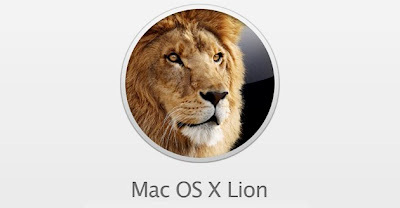 Xsan system is directly integrated with Leo and allows any Mac to access an Xsan volume. A new preference panel appeared to manage these particular volumes and Lion supports standard ALUA. In Mac OS X Leo, Screen Sharing now supports user accounts and allows you to connect to a computer already in use with another account (Remote access multi-user). You can also use an Apple ID to authenticate and a new observation mode only makes its appearance. It was a (small) surprise at the Keynote, Apple has updated Photo Booth, its application to take pictures with effects. It contains a full screen mode like all Apple applications, but new effects using face recognition. Photo Booth benefits (finally) FaceTime HD cameras and takes pictures in high resolution while videos can be shortened. Applications can now integrate a full screen mode by default which is already active for applications from Apple. In this mode, only the application remains the dock as the menu bar disappears. Multitouch gestures can go a full screen application to another. The new preferences system Lion centralize the management of Internet accounts in one preference pane. Some new options are also emerging, like the ability to hide indicators of the dock to open applications or reversing the pad. New editing capabilities for QuickTime Player and the new combination of multiple videos or video rotation. It can also save only a single part of the screen, whereas in the screenshot, the clicks are highlighted. New sharing options are also included in Leo. Mac OS X Lion has a new mode that allows access to data via the network without re-enable the entire system, thereby saving electricity. This mode activates neither the monitor nor the USB ports. Among the new features include the appearance of a window when a network requires authentication, support for NFSv4 and SMB addresses with DFS that facilitate reconnection. This resets an application or even the entire system in the state where he or she was before her arrest, as in IOS. When turning off the Mac, you can also specify a starting from scratch, as was the case with Snow Leopard. 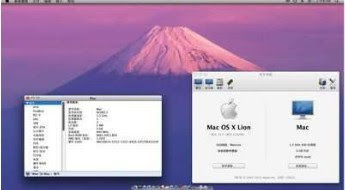 Mac OS X Lion contains a hidden partition that can easily restore the system without optical disk, which is handy given the market only by the Mac App Store. The recovery mode contains several tools, including one that allows you to reinstall (possibly from a TimeMachine backup), but it also includes Safari to do research on your problem. Apple's browser starts up to date with a full screen and new touch gestures, including the double tap to zoom and intelligent way to pinch to zoom in IOS. Safari improves support HTML5 and the CSS3, it contains a new list of downloads (a bit of future Firefox Safari) and a reading list for items that you do not want to read immediately (A function similar to Instapaper in Safari 5.1). Safari also practices sandboxing and application contains a new architecture that makes the browser more stable with a separation process. This is the major update to the document encryption solution for Mac OS X. With Leo, it is now capable of encrypting the entire drive and it also works with external drives (USB and FireWire). FileVault XTS-2 uses AES 128 to encrypt (a solution very secure), access to encrypted data is immediately after entering the password. The Finder has a new default view to display all files sorted by category, a new option that was also around the Finder. The search box displays suggestions and intelligently filters the results, like in Mail. It can merge files, create a folder from a group of files or keep multiple files when drag and drop a file that already exists in the destination folder. New interface for Apple's calendar application, we have already mentioned on MacGeneration. Even if Apple puts more emphasis on FaceTime now, the messaging client iChat is not abandoned historic Lion in the contrary. It now includes Messenger; it offers a unified contact list and a unified status for all registered accounts. We can now perform a search in the iChat buddy list and can be extended by plug-ins. LaunchPad Application Manager to iOS works just like in IOS or almost. We may set records for applications, delete them directly from the LaunchPad ... Only applications on the Mac App Store are entitled to all functions. 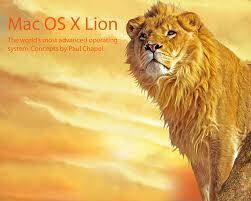 Integrated with Leo, he also has three new features compared to that which was added to Snow Leopard. First of all purchases in-app that will finally allow developers to offer trial versions that can be clamped to unlock the application. Other new updates faster where only changes from the previous version will be recovered and finally instant notifications identical to those of iOS directly to inform users of an application. Mail Mail LionBeaucoup novelties have already been mentioned on MacGeneration. This new version offers a completely new interface with a very practical view conversations and new research more quickly and efficiently. Among the new quieter; note the archiving of emails with one click or support Exchange 2010 notifications and holidays. Replacing Exposé and Spaces, Mission Control offers control over applications with extensive use of multitouch gestures. The changes concern statement, but also and especially the new Spaces: everything is done from Mission Control and the dock. Confusing at first, this mode is much simpler and more intuitive. New quieter Mac OS X Leo, you can now associate different wallpaper per virtual desktop. They have been widely reported on MacGeneration. Remember they are even more present than in Snow Leopard and they make the trackpad Magic even more useful. 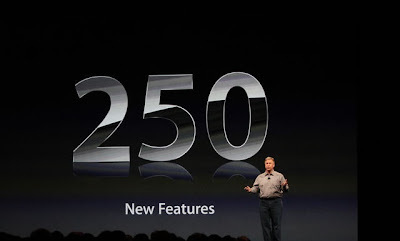 Following the opening keynote of WWDC 2011, Apple has posted on its website a long list of 250 new features for the next update of its system. 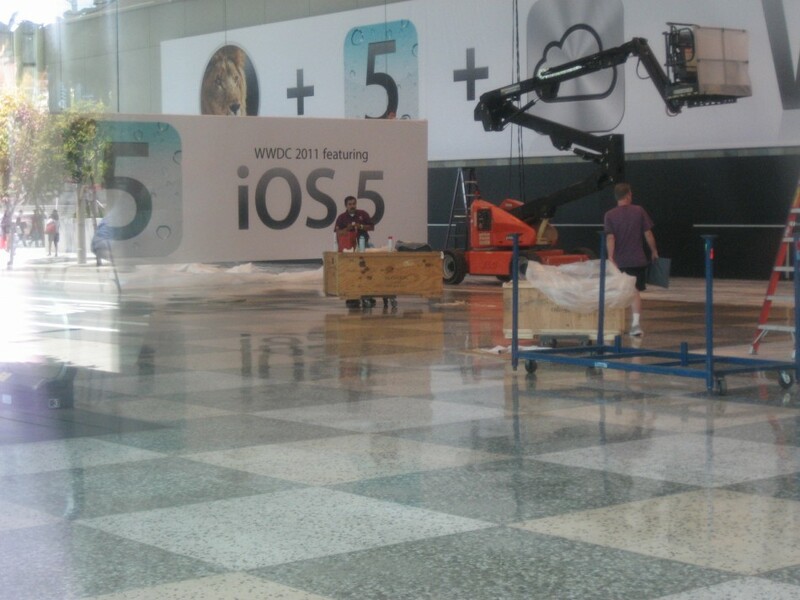 Some innovations were already known thanks to the Developer Preview of the system, some others were not yet known. A Quick overview of all the new features here. VoiceOver has 23 votes in many languages and we can even download new high-quality voice in the ad hoc panel preference. Leo also supports Braille, you can zoom in on an image only (the rest of the screen remains unchanged), the cursor is defined more and Apple has added a new mode drag and drop where you select the original item and point of destination and the system does the rest. To simplify the sharing of documents, airdrop integrates seamlessly Finder Lion. The feature requires no configuration, just click on the icon to see immediately compatible computers on their network and send a file or folder. The transfers are secure (encryption in TLS), a firewall is automatically created and you keep control of operations (confirmation that you accept the file, possible cancellation of the transfer). Overview of the many innovations have already been outlined MacGeneration. Auto SaveCette function automatically saves the documents, everything is done transparently and automatically, even if you can duplicate a file or a block from the menu that will appear in the final version in the filename. Automator can now change a process to move from one process to service a plug-in printing for example. The application manages versions and Auto Save, new Automator actions appear in Lion, in particular to manage RTF files. Besides a new interface, Address Book Lion improves its synchronization with Yahoo, it offers access to photos in iPhoto to complete the address book, it allows FaceTime to initiate a call or add birthdays without year. 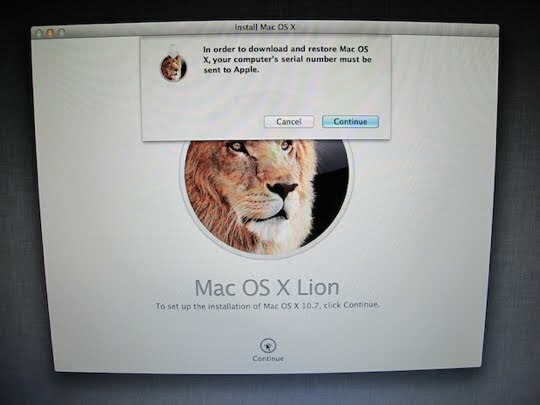 Mac OS X Lion abandons the physical medium. The next version of Apple's system will only be sold on the Mac App Store for € 23.99. 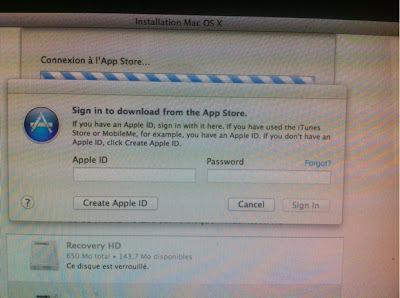 We can install on any Mac with an account authorized iTunes Store. 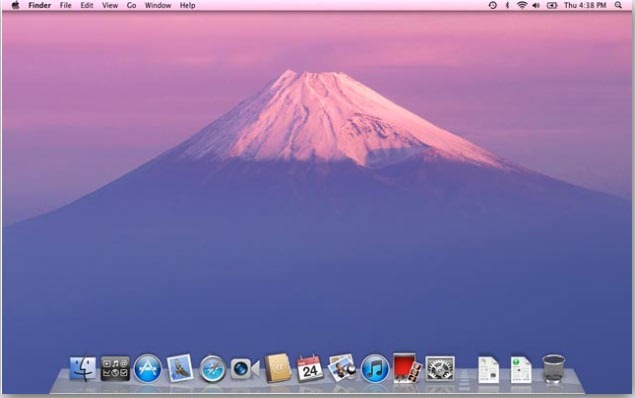 The video chat application is built into Apple's Mac OS X Lion. Little new from what we already knew, except the addition of an expected full screen. Without a wait of the seventh update of its OS, Apple has addressed its multi touch gestures. Apple was the first to introduce track pad that is able to manage multiple fingers simultaneously in its earlier laptops. You can stimulate with your two fingers the mouse wheel to move up and down in a track pad. Subsequently it had added bigger track pads and added the pinch gestures to resize, two fingers to rotate the image and three fingers to navigate through an application and four fingers to switch applications, presentations or display. 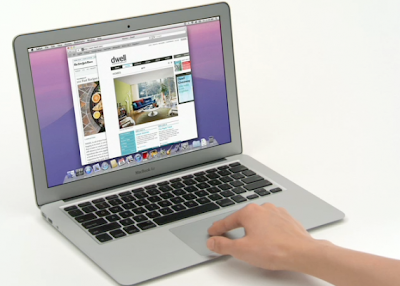 Mac OS X Leo does not change the usual features, but it integrates Apple’s multi touch gestures in track pad use. Transition from one space to another touch gestures are handy and they replace the key board short cuts. Though it is not yet fully developed Apple has tried this multi touch gestures in Mac OS X Leo. In Mac OS X Leo, slightly changing your two fingers you can navigate in all directions, up / down, right / left, diagonal or round. In the new version of Apple System profiler the direction of travel is reversed in default. That is by sliding your fingers down you can run up to the top of the document and vice versa. And by sliding the bottom to top you can lower the pages of a document. In the beginning it may be little confusing but in daily use it will be handy. These features are of iOS and you can any time disable this in the system preferences. 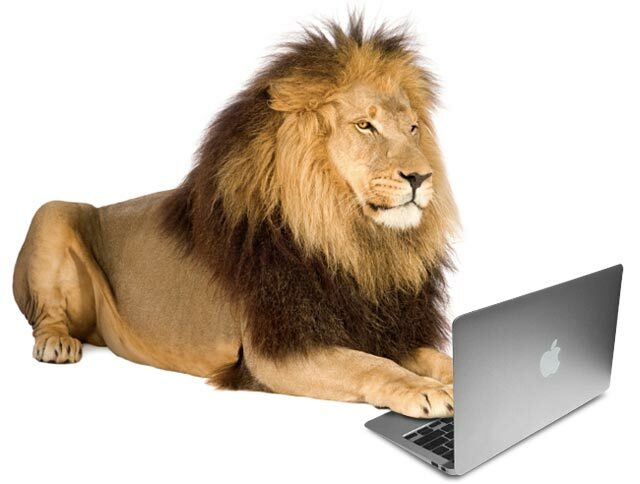 The novelty of using two fingers in Lion is very soft and easy to do. It is similar to that of Safari 5.5. The gesture with two fingers is different from the three-finger gesture that existed in Snow Leopard. Apple added an animation in the form of layers when you go to the previous page, we go to the bottom layer and the current page slides over the side to find below the previous page. A sliding two fingers also serves on the dock. Dragging two fingers up on an application icon in the dock, Mac OS X displays all the windows of that particular application. By doing the same thing on a stack, it can be opened without clicking on it. Add to this a view that shows all the windows of an application and also displays recent documents. This independent multi touch gestures is the latest add in Mac OS X Lion and the combination of both accelerates access to a document recently opened. By default, the three fingers can be used in Mac OS X Leo to moving from one space to another. Since applications can be a full-fledged space by switching to full screen, slide to the right or left makes this logic to move from one application to another. A double-tap of three fingers on a word brings up the pop-up dictionary built into the system. The function is not new, but this gesture prevents right click then "Look in the dictionary" as in Snow Leopard. It will be noted against the new format in the same spirit as a glance. 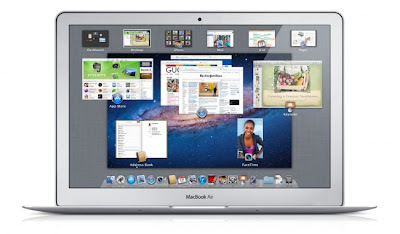 Apple has posted the second developer preview of its subsequent release of operating system, Mac OS X 10.7. Bug fixes and new interface for iCal in this preview of Lion always distributed via the Mac App Store. While Microsoft is now distributing pre-release of Windows 8, Apple continues to develop its side, the Leo. 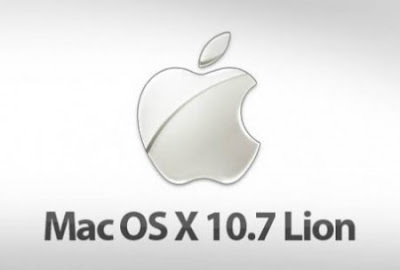 The Cupertino Company has rolled out it’s a new beta version of Mac OS 10.7 Mac OS named Lion Developer Preview 2 to developers. Also distributed via the Mac App Store, this preview is accompanied by a preview of Xcode 4.1, the development environment of Mac OS. Apple warns Thunderbolt devices are not yet fully supported. The most striking novelties brought by this Developer Preview 2 include iCal that has an interface similar to the iPad version and two separate versions for the operating system. Gold Master, Final version ready for distribution, approaching fast. It anticipates a launch of Mac OS X Lion around WWDC, which is expected this year targeting the software part.